Online registration link is available at tnpsc.gov.in. Candidates can apply latest by January 9. 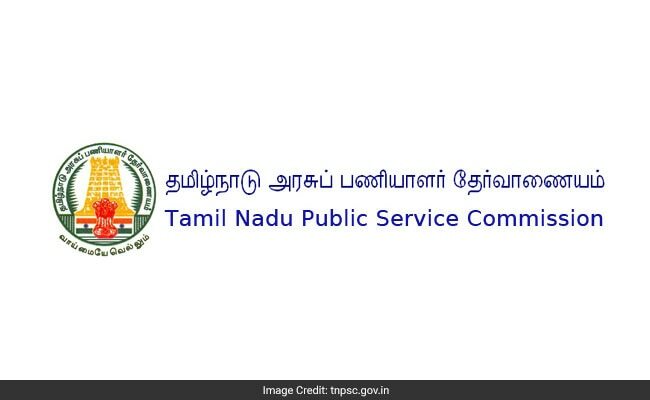 Tamil Nadu Public Service Commission (TNPSC) has invited applications for recruitment to the post of District Educational Officer (DEO) posts in School Education Department under Tamil Nadu School Educational Service. 18 vacancies have been notified by the Commission for which candidates with Master's degree and B.T. /B.Ed. are eligible to apply. Candidates must have obtained the qualifying degree in Mathematics, Physics, Chemistry, Botany, Zoology, Economics, Geography, History, Commerce, Tamil and English. The last date to submit applications is January 9. 'Candidate possessing a degree of M.A or M.Sc. or an equivalent degree awarded under the grading system shall not be considered eligible for appointment unless he has obtained the said degree with "O" or "A" or "B" grade,' clarifies TNPSC regarding the eligibility criteria. In addition to this candidates must have studied Tamil under Part-I or Part-II of the Intermediate or Pre-University course or Higher Secondary Course. 22% of the vacancies will be from among the Teachers employed in recognised aided secondary and higher secondary schools having teaching experience in a recognized School for a total period of not less than 12 years. All other eligibility criteria remain same for the teachers. Candidates will be selected through preliminary exam, main exam and viva voce test. Exam date, hall tickets and other updates regarding the exam will be notified to the candidates in due course of time.